Studies have been conducted on the barriers and the determinants of the use of e-commerce in Small and Medium Scale Enterprises (SMEs) in developing countries. However, studies on the adoption of e-commerce in Small Scale Enterprises (SSEs) in developing countriesâ€™ retail sector, particularly Nigeria, are scanty. This study explores the barriers and the extent of e-commerce adoption by SSEs in retailing sector in the South Western part of Nigeria. The data for this study were derived from the administration of questionnaires on the owners of 228 SSEs selected for the study. The data collected were analyzed using descriptive statistics. The study reveals that the majority of the SSE owners in the study area are yet to adopt e-commerce. Moreover, those that have adopted it are at the early stage of e-commerce. Besides, the study shows that retail SSEsâ€™ online sale is virtually zero. The paper concludes that for the opportunities offered by the e-commerce to be optimally utilized in Nigeria retailing SSEs, regular electricity supply, government financial assistance, internet security, and developed legal and regulatory system must be provided. Alberto, B.M. and Fernando, L.L., (2007). A Firm-Level Analysis of Determinants of ICT Adoption in Spain. Technovation, 27, 352-366. Apulu, I. and Ige, E.O., (2011). Are Nigeria SMEs Effectively Utilizing ICT?. International Journal of Business and Management, 6 (6), 207-215. Bakos, Y. and Brynjolfsson, E., (2000). Bundling and Competition on the Internet. Marketing Science, 19 (1), 63 – 82. Bodorick, P., Dhaliwal, J., and Jutla, D. (2002). Supporting the E-Business Readiness of Small and Medium-size Enterprises: Approaches and Metrics. Internet Research: Electronic Network Applications and Policy, 12 (2), 139-164. Bolongkikit, J., Obit, J.H., Asing, J.G. & Tanakinjal, G.H. (2006). An Exploratory Research of the Usage Level of E-Commerce among SMEs in the West Coast Sabah, Malaysia. Buckley, P. and Montes, S., (2002). Main Street in the Digital Age: How Small and Medium Businesses are Using the Tools of the New Economy Economics and Statistics Administration, US Department of Commerce, Washington US. Centre for Industrial Research and Development CIRD (1979). Working Papers. Obafemi Awolowo University Press. Chau, P.Y.K. and Hui, K.L., (2001). Determinants of Small Business EDI Adoption: An Empirical Investigation. Journal of Organisational Computing and Electronic Commerce, 11 (4), 229 – 252. Cohen, J. P., Morrison, C., and Paul, C.J. (2004). Spatial and Supply/Demand Agglomeration Economies. State and Industry-Linkages in the US Food System. Empirical Economics, 28 (4), 733 – 751.
Cooper, J. and Burgess, L. (1998). The Status of Internet Commerce in the Manufacturing Industry in Australia: A Survey of Metal Fabrication Industries. A Conference Proceedings at CollECTeR ’98, Sydney Australia. Retrieved from http://www.collecter.org/Coll98. Darch, H., and Lucas, T. (2002). Training as an E-Commerce Enabler. Journal of Workplace Learning, 14 (4), 148-155. Eid R., Trueman, M. and Ahmed, A.M., (2002). A Cross-Industry Review of B2B Critical Success Factors Internet Research. Electronic Networking Applications and Policy, 12 (2), 110 – 123. European Report (2005). Definition of Micro Small and Medium-sized Enterprises. Commission Recommendation concerning the Definition of Small and Medium-sized Enterprises. Official Journal, L107. Ghobakhloo, M., Arias-Aranda, D., and Benitez-Amado, J. (2011). Adoption of E- commerce Applications in SMEs. Industrial Management & Data Systems, 111(8),1238-1269. Hadjimonolis, A. (1999). Barriers to Innovation for SMEs in a Small Less Developed Country (Cyprus), Technovation, 19(9), 561-570. Hashim, J. (2007). Information Communication Technology (ICT) Adoption among SME Owners in Malaysia. International Journal of Business & Information, 2 (2), 221-240. Iddris, F. (2012). Adoption of E-commerce Solutions in Small and Medium-sized Enterprises in Ghana. European Journal of Business and Management, 4 (10), 48-57. Irefin, I.A., Abdul-Azeez, I.A., and Tijani, A.A. (2012). An Investigative Study of the Factors Affecting the Adoption of Information and Communication Technology in Small and Medium Scale Enterprises in Nigeria. 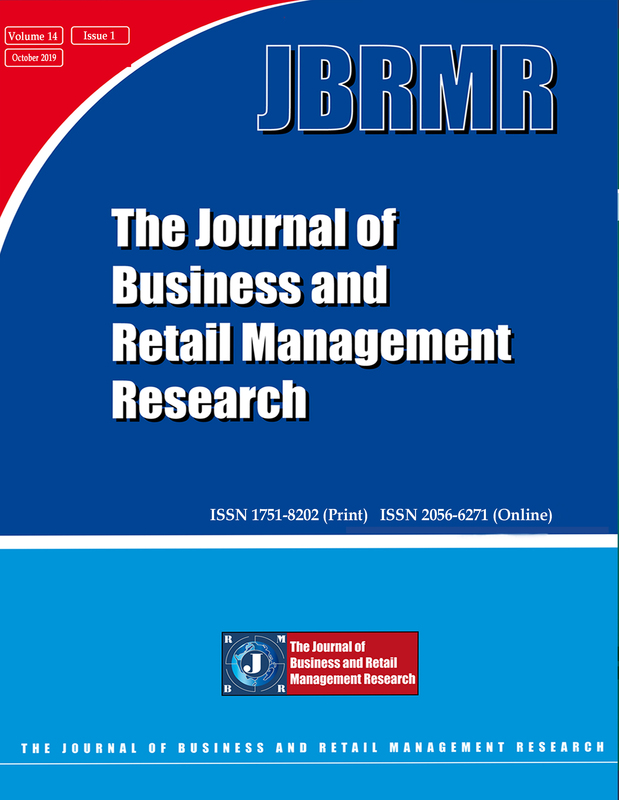 Australian Journal of Business & Management Research, 2 (02). Johnson, M. (2011). Getting Nigerian Businesses Online Initiative. A Speech Delivered by the Minister of Communication Technology at the Opening Ceremony of the GNBO SMB Fair in Lagos, Nigeria. Khalifa, G., Irani, Z. and Baldwin, L.P. (1999). Factors Impacting IT/IS Investment Adoption and Exploitation: Conceptual Model. Proceedings of the Sixth European IT Evaluation Conference,Brunel University, UK. Kulmala, H.I., Paranko J. and Uusi-Rauva, E., (2002). The Role of Cost Management in Network Relationships. International Journal of Production Economics, 79(1), 33– 43. Lacovou, C.L., Benbasat, I. and Dexter, A.A., (2005). Electric Data Inter-Change and Small Organization: Adoption and Impact of Technology. MIS Quarterly, Dec 19(4) 465- 485. Liedholm, and Chuta, E. (1986). “Employment and Growth in Small Scale Industry: An Empirical Evidence”. Academy of Management Review, 21 (1), 135-172. MacGregor, R.C. and Vrazalic, L., (2006). The Effect of Small Business Clusters in Prioritising Barriers. Journal of New Business Ideas and Trends, 4(1), 24-44. Noor, A. H. (2009). E-Commerce and SMEs-The Need for Caution. Prometheus, 27 (2),125-140. Oborah, J.O. (2011). Status of the Utilisation of E-Commerce Resources by Small and Medium (SMES) Enterprises in Nigeria. International Journal on Business Information Technology, 1 (2), 165- 173. Olatokun, W. and Bankole, B. (2011). Factors Influencing Electronic Business Technologies Adoption and Use by Small and Medium Scale Enterprises (SMEs) in a Nigerian Municipality. Journal of Internet Banking & Commerce, 16 (3), 1-23. Omisakin, S. (1999). Factors Influencing Success and Failures of Enterprises in the Informal Sector. Nigeria Social and Economics Research (NISER), Monograph Series, No 9. Osei, B., Baah-Nuakoh, A., Tutu, K. A. and Sowa, N.K. (1993). Impact of Structural Adjustment on Small-Scale Enterprises in Ghana. In A. H. J. Helmsing and T. H. Kolstee, (eds. ), Structural Adjustment, Financial Policy and Assistance Programmes in Africa, IT Publications, London. Sawhney, M. and Zabin, J. (2002). Managing and Measuring Relational Equity in the Network Economy, Journal of the Academy of Marketing Science, 30(4), 313 – 332.
. The Social Studies of Information Systems Journal, 1, 7-20. Steel, W.F. and Webster, L.M. (1991). Small Enterprises in Ghana: Responses to Adjustment. Industry Series Paper, No.33. The World Bank Industry and Energy Department,Washington. Stockdale, R. and Standing, C., (2004). Benefits and Barriers of Electronic Marketplace Participation: An SME Perspective. Information management, 17(4), 301 – 309. Tambini, A.M., (1999). E-Shoppers Demand. E-Service Discount Store News, 11(38). Ugwushi, B. I. (2009). SMEs Key Failure-Factors, a Comparison between the United Kingdom and Nigeria. J Soc Sci, 18(3), 199-207.